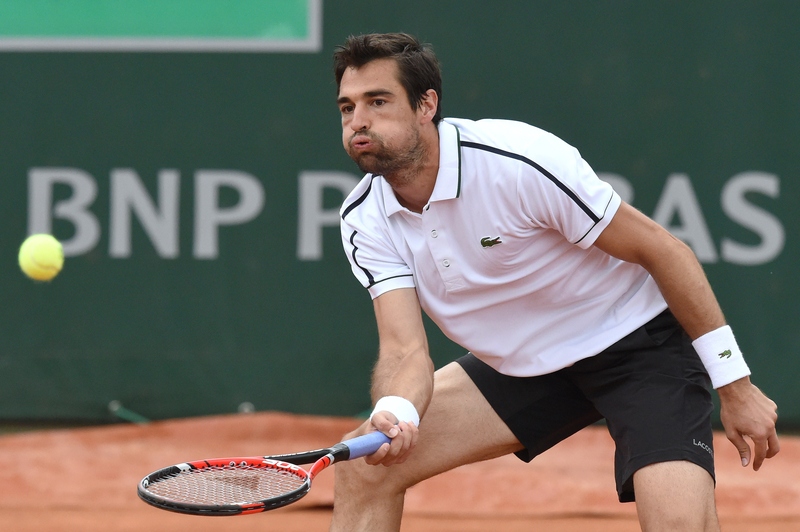 Caroline Wozniacki ousted by Julie Goerges, Serena Williams takes three to move to round three, Thanasi Kokkinakis comes back to beat a fellow Aussie and more results from Day 5 of the French Open. 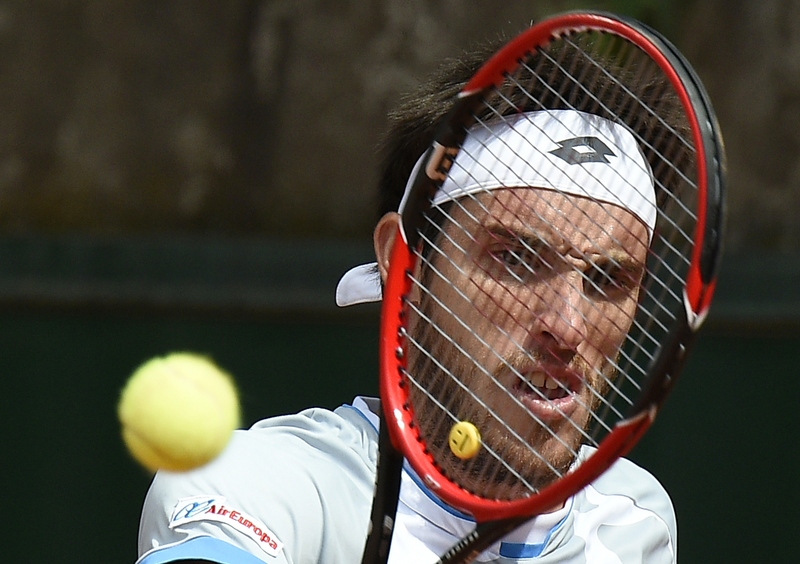 PARIS – Catch up on the news and results from Day 5 on Thursday at the French Open in Paris. 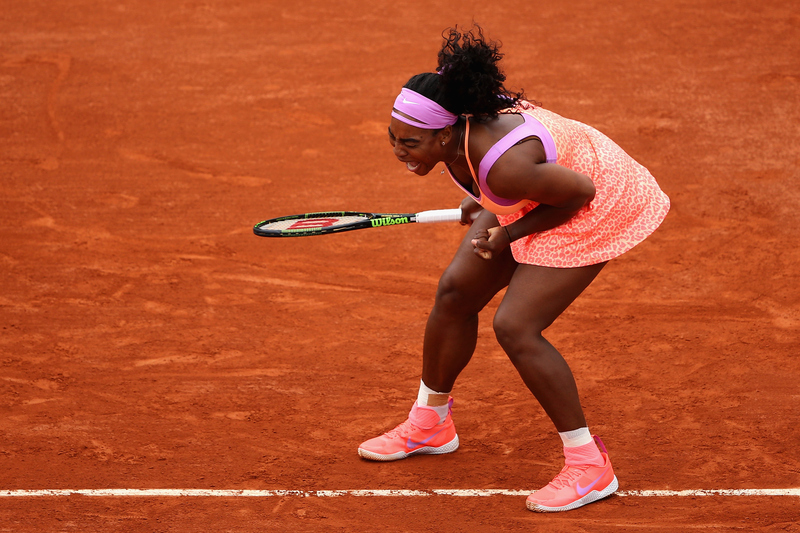 Serena Williams survives an upset scare: The No. 1 overcame a slow start to beat No. 105 Anna-Lena Friedsam 5–7, 6–3, 6–3 in just under two hours. It was a sloppy first two sets from Serena, who hit eight double-faults and a total of 52 unforced errors for the match. She also hit nine aces and 39 winners. The win sets up big showdown with No. 27 seed Victoria Azarenka, who beat Lucie Hradecka 6-2, 6-3. That's a popcorn match for Saturday. Save some of that Serena-Vika popcorn on Saturday. 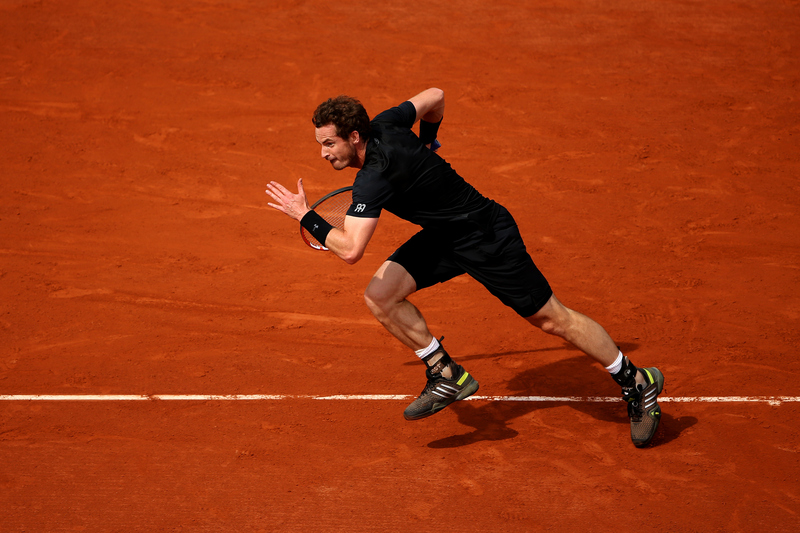 Today's results mean Murray will play a rested Nick Kyrgios next. 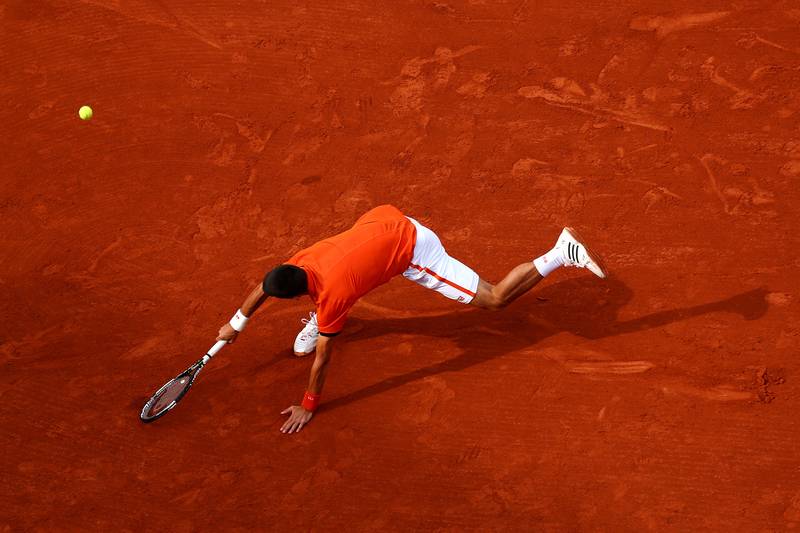 Novak Djokovic called the trainer in easy win: The No. 1 had no problems with Gilles Muller, winning 6-1, 6-4, 6-4. But he was seen stretching out his right leg throughout the match and finally called a medical timeout late in the second set. 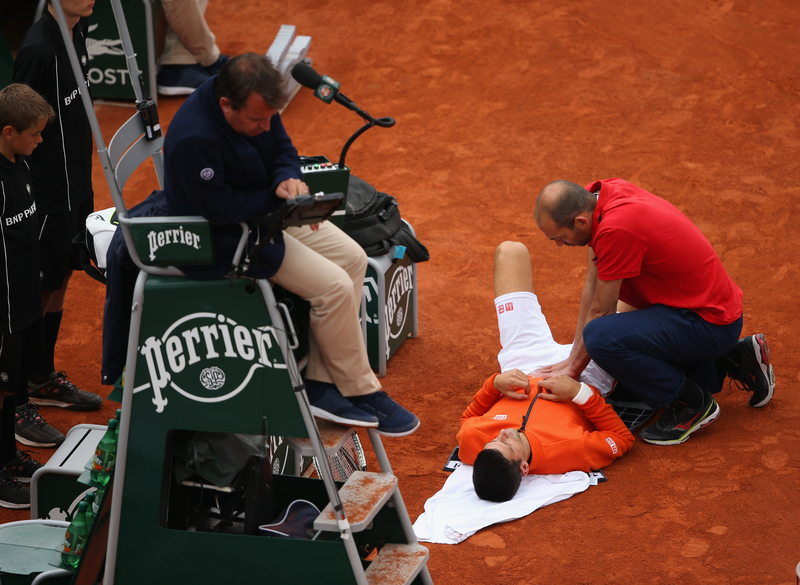 Djokovic dismissed any injury concerns after the match. "​I made a couple of slides that were quite unusual, with change of directions," he said. "And it happened in those dynamic movements, jammed the hip a little bit. Thankfully it's nothing serious, really. 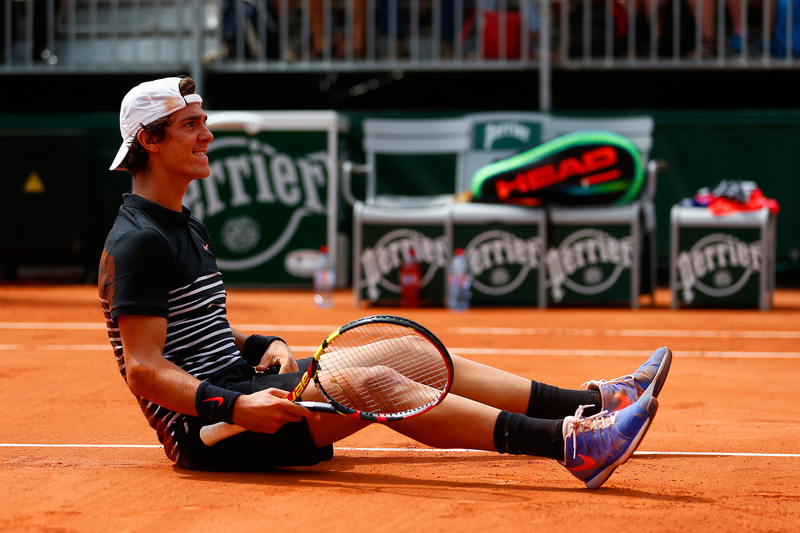 It's going to be fine.​" He plays Thanasi Kokkinakis next. No. 5 Caroline Wozniacki ousted by Julia Goerges: Setting aside her run to the U.S. Open final last year, Wozniacki has not made it past the fourth round of a Slam since the 2012 Australian Open. That's 12 of the last 13 majors. After a sold clay season she bowed out to No. 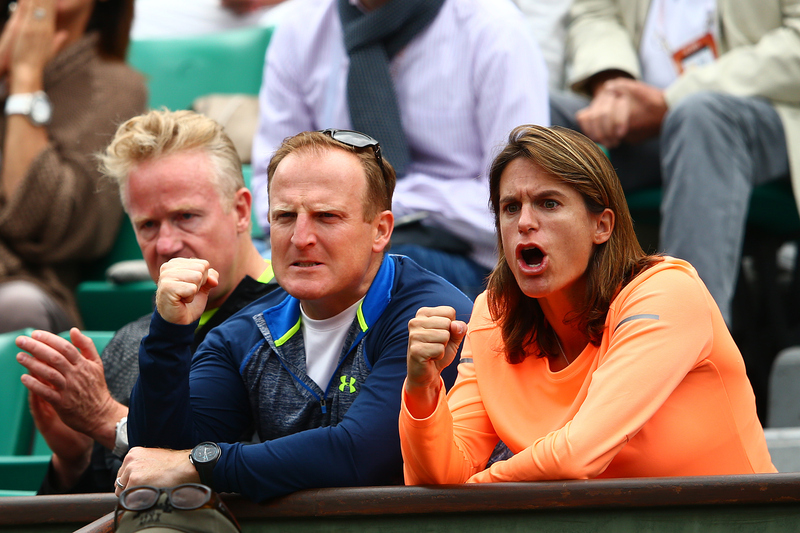 72 Goerges, 6–4, 7–6. The German now has four wins over the Dane, a remarkable number given the match-up between Goerges' big but erratic hitting and Wozniacki's impenetrable defense. Francesca Schiavone wins an epic against No. 18 seed Svetlana Kuznetsova: The last time these two met at a Slam they played the longest women's Slam match in the Open Era, with Schiavone winning 6–4, 1–6, 16–14, in four hours and 44 minutes at the 2011 Australian Open. 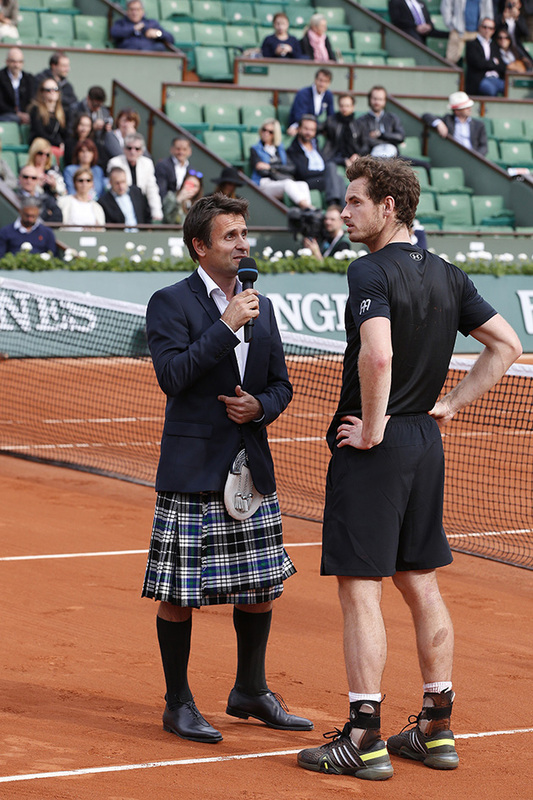 The two former champions reconvened on the Bullring to play the best match of the tournament so far, and once again the 2010 French Open champion prevailed, winning 6–7, 7–5, 10–8 in three hours and 50 minutes. Schiavone saved a match point and broke Kuznetsova four times when the Russian served for the match in the third set. 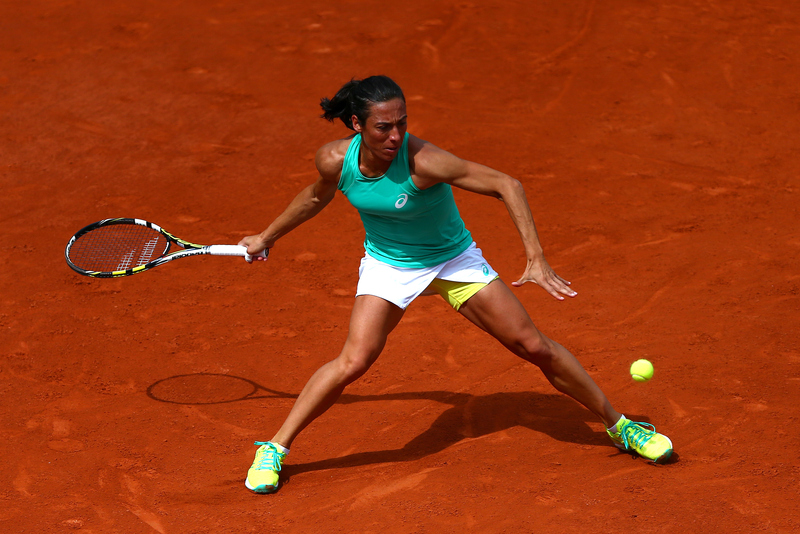 Could Schiavone have a resurgent run here in Paris? She faces Andreea Mitu next after the Romanian upset No. 12 seed Karolina Pliskova. John Isner bows out quietly, Jack Sock keeps winning, four American women advance: The top American lost 6-4, 4-6, 6-3, 6-3 to Jeremy Chardy. 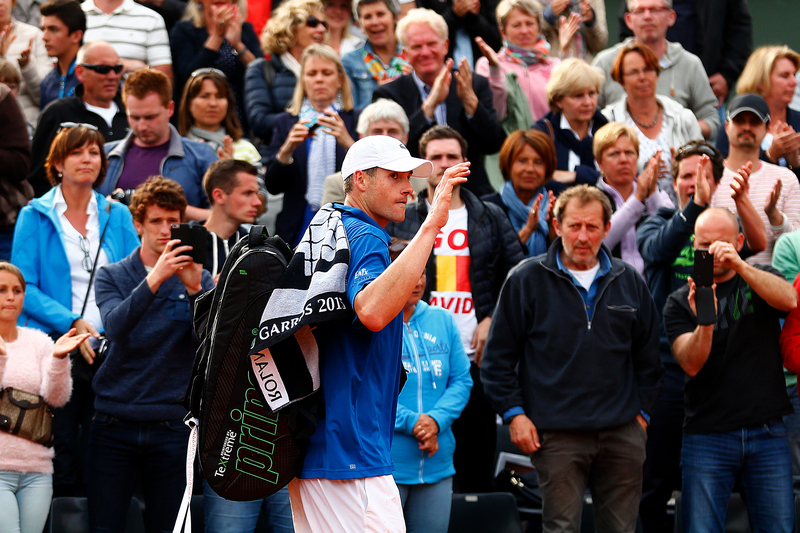 That's a disappointing result for Isner, who was broken five times and won just 66 percent of his first serve points. By comparison, he's won 81 percent of his first serve points this season. 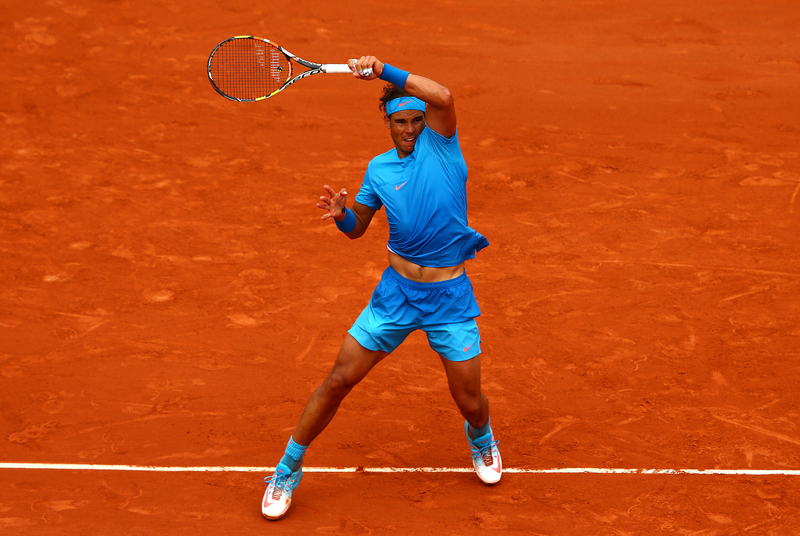 He came into the tournament playing some very good clay court tennis. 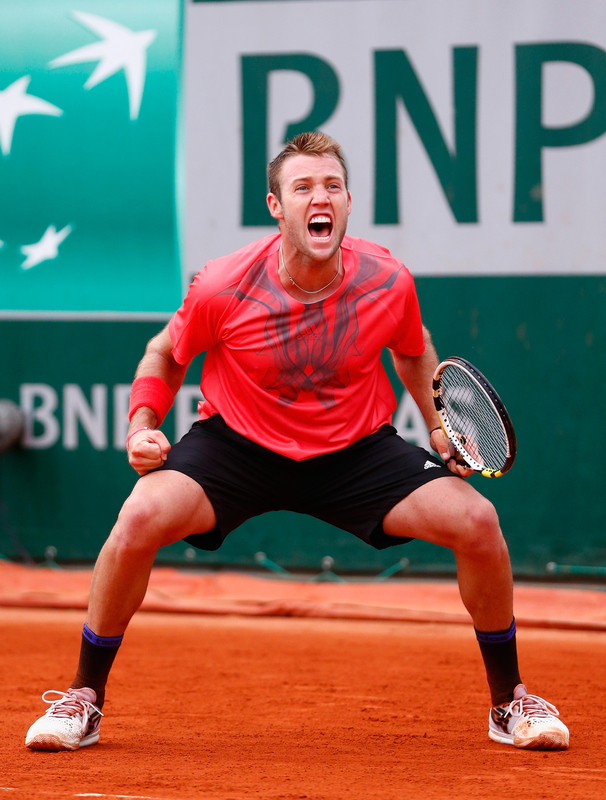 Jack Sock will join Steve Johnson as the only two American men in the third round after beating Spain's Pablo Carreno Busta 6–7, 7–6, 6–1, 7–6. 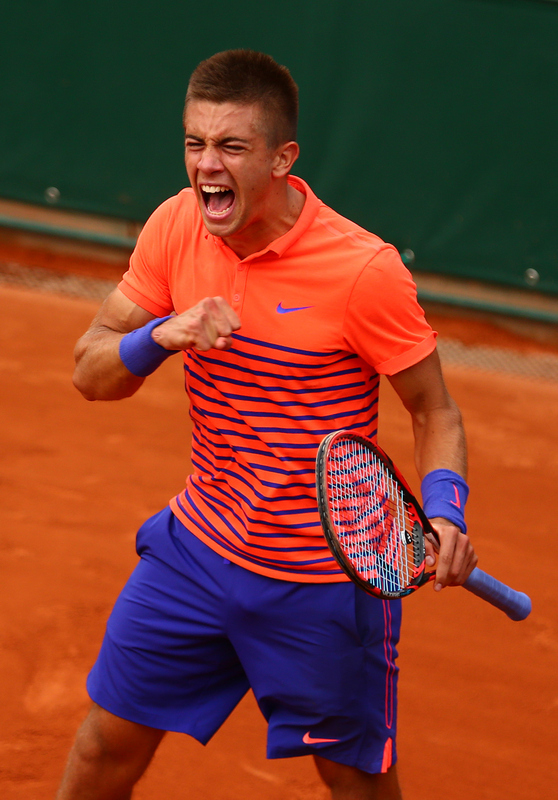 He'll play Borna Coric for a spot in the second week. That's a huge opportunity for Sock and a great showdown between two future (current?) stars. The women are, as expected once again, having a better tournament. No. 16 seed Madison Keys beat Belinda Bencic 6–0, 6–3, Sloane Stephens beat Heather Watson 6–2, 6–4 and No. 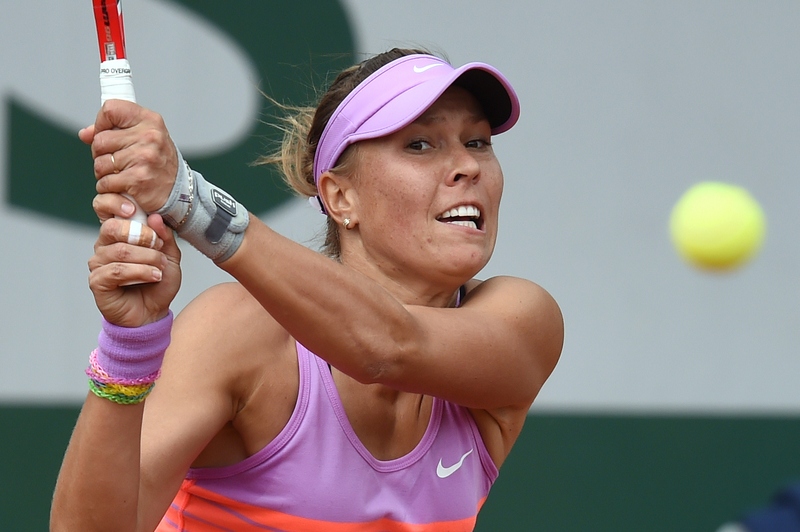 85 Irina Falconi, as the surprise of the bunch, beat Sesil Karatantcheva to make the third round. Petra Kvitova and Andrea Petkovic move through in three sets: Let's just call her Pet-trois. For the second straight match Kvitova was pushed to the brink but came through in the end. The No. 4 seed needed three to beat Silvia Soler-Espinosa 6–7, 6–4, 6–2 to advance to the third round. No. 10 seed Andrea Petkovic overcame her ongoing leg injury and a flurry of drop shots from Spanish qualifier Lourdes Dominguez Lino to win 4–6, 6–4, 6–4. Petkovic's win sets up a rematch of last year's quarterfinal against No. 17 Sara Errani. Kvitova will play Irina-Camelia Begu. ​Borna Coric joins Kokkinakis in the third round with five-set win: The last time multiple teenagers made the third round of a major was in 2008 at the U.S. Open: Kei Nishikori, Juan Martin del Potro, and Marin Cilic. They've done pretty well for themselves since. 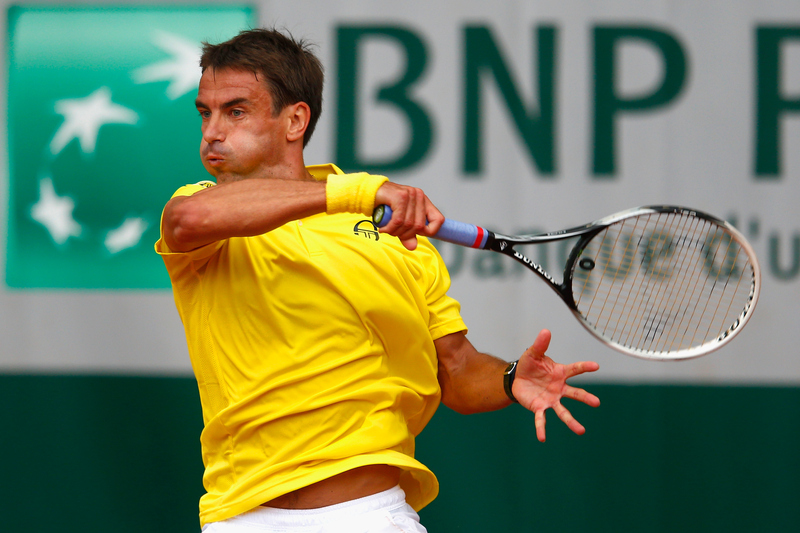 18-year-old Coric became just the second player since 2006 to beat Spanish veteran Tommy Robredo in five sets, coming back from a break down in the final frame to beat the 18th seed 7–5, 3–6, 6–2, 4–6, 6–4. Philipp Kohlschreiber's collapse: His second-round match against Pablo Andujar was suspended for light on Wednesday with the German leading 4–2 in the fifth. On resumption he failed to win a game. 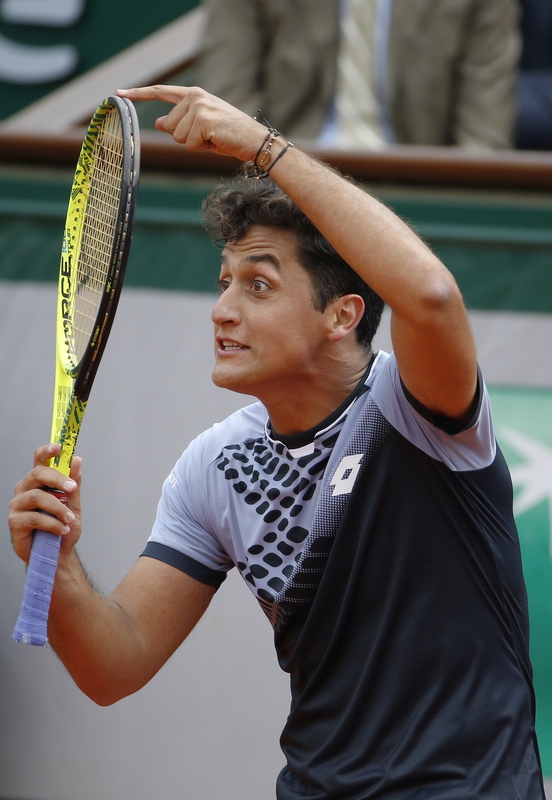 Andujar won 6–1, 7–6, 3–6, 3–6, 6–4. 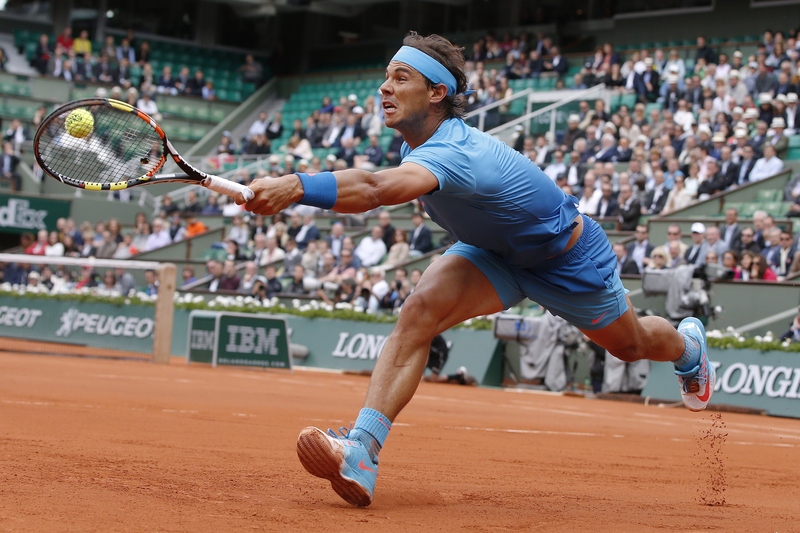 Nadal beat Almagro 6–4, 6–3, 6–1. After getting a walkover, Kyrgios watched the Tomic-Kokkinakis match. Schiavone d. No. 18 seed Kuznetsova 6–7(11), 7–5, 10-8 in an epic. It look three sets but Kvitova d. Soler Espinosa to reach round three. Mayer d. Janowicz 6–4, 6–4, 6–7, 6–1. The No. 5 seed was upset by Julie Goerges, 6–5, 7–6.